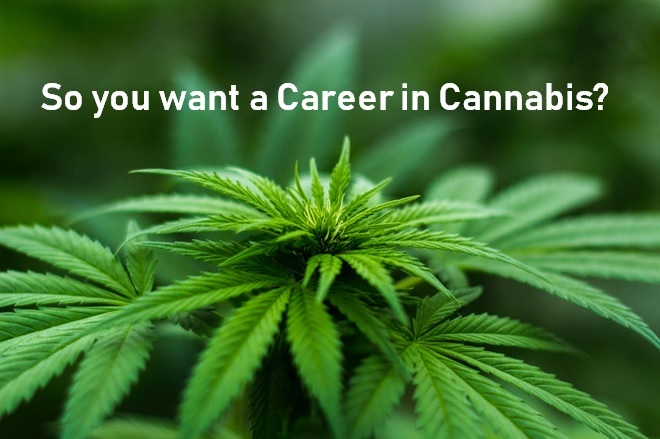 So you want a Career in Cannabis? It might appear that the green-rush is upon us, but don’t quit your job just yet. If like me, you got a little excited when the Home Secretary Sajid Javid announced that the government would conduct a review of the scheduling of medical cannabis. You probably exploded when William Hague, yes that William Hague, called for the full legalisation of cannabis and stated the war on cannabis has been ‘comprehensively and irreversibly lost’. Of course this news is fantastic for the families of chronically-ill children, such as Billy Caldwell and Alfie Dingley, who have been forced to endure life-threatening epileptic fits, as well sufferers of Crohn’s disease and Multiple Sclerosis. A change in the law will grant people suffering avoidable pain, legal access to the medical cannabis they desperately need. But could it also be fantastic news to the secret green-thumbs amongst us who have always dreamt of their own legal weed empire? You see, ‘legal’ medical cannabis already exists in the UK. It’s called Sativex and it’s only manufactured and sold by GW Pharmaceuticals, to whom the Home Officer issued an ‘Open General Licence’ in 2011. Seems a bit strange doesn’t it? The government has continued to claim that cannabis has no medicinal value, despite it being available via GW Pharmaceuticals on Private Prescription (in some cases via the NHS in Wales) for the sum of £375 excluding VAT. Yes, the treasury make money from the medicine they believe has no medicinal value. Mind. Blown. If somehow your brain hasn’t been blasted into the Exosphere, it might be when you find out the UK is the world’s largest exporter of legal cannabis. According to the International Narcotics Control Boar in 2016, the UK produced ninety five tonnes of cannabis for medical and research purposes, exporting just over two tonnes of the crop. So if you want a job in cannabis in the UK right now your best bet is to keep checking the GW Pharmaceuticals careers page. However, there are other options open to you but you may need to look a little further away from home. Canada has just passed the Cannabis Act and will become the second country in the world to fully legalise cannabis in October, ending 90 years of prohibition. Although the legislation to legalise cannabis was passed at the federal level, it will be up to Canadian provinces and territories to determine exactly how people will be able to obtain their weed and cannabis derived products. Some states, such as Newfoundland, will only have privately owned weed shops, whereas residents of British Columbia will also be able to buy their provisions from publicly-owned stores. Founded in 2015, Cannabis at Work are at the forefront of the recruitment of weed specialists in Canada. Their site hosts hundreds of jobs in the legal cannabis sector across Canada, from Regulatory Scientists to Master Growers and every job in-between. Those seeking to find a role in the industry in Canada should be cautious and realistic with regard to their salary expectations. An average wage for someone working as a general grower hovers around $50,000 (£28,000), while a director of production could make $100,000 (£56,000). Prior to securing a job in Canada you will need to obtain the appropriate work permit. To find out more about working in Canada, go to Work in Canada. Alternatively, you may wish to pursue a career in one of nine US state that has legalised recreational cannabis or one of twenty nine that has legalised medical use. Like Canada you will need to obtain a work permit, although you may find it more difficult to gain employment straight away in the US legal cannabis sector. Once you have fulfilled this qualifying period, you could initially expect to earn around $28,000 (£21,000) as a cannabis production-line worker in California, while as a President or Chief Operating Officer you could take home in excess of $200,000 (£150,000), plus performance bonuses.